The saranda is a bowed folk fiddle found in northern India, Pakistan and Nepal. 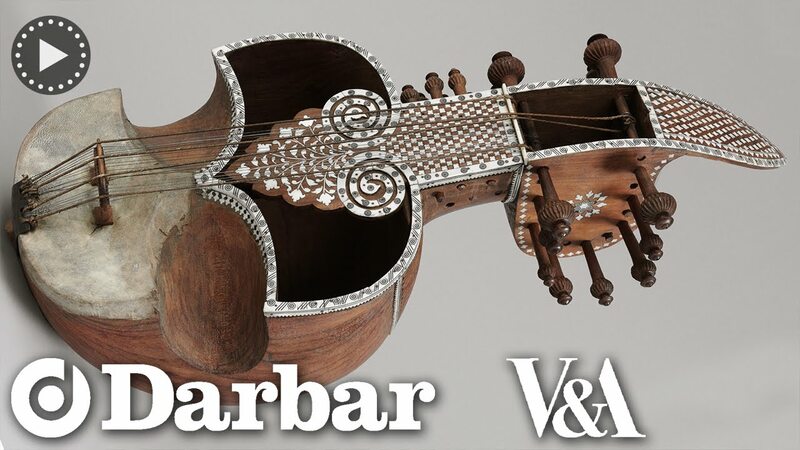 Sometimes also spelt “saranda” or even “sarangda”, it is widely believed to be a predecessor of the better-known sarangi but a number of experts believe that it deserves to be categorised as a separate instrument. Undoubtedly, it resembles the North Indian sarangi in the way it is held and played but whereas the base of the sarangi is square and box-like, the saranda has a base which is more rounded and pointed and often oval or heart-shaped. In North India, the saranda was a staple instrument of the Sikh gurus and their followers, particularly during the 16th and 17th Centuries when it was the main melodic accompaniment for Sikh devotional music, and a popular theory attributes its main development in this form to Guru Arjun Dev (1563 – 1606). It is also possible that the instrument may have come to India/Pakistan from Central Asia, where it is known as the qobuz, (which, roughly translated, means horse hair). In this version, it is a relatively simple two-stringed violin played with a bow made of wood and horsehair. The Kazakh people consider it to be the oldest musical instrument of that region and, according to Central Asian folklore, it has magical properties to ward off evil spirits and illness. The left-hand technique for playing the saranda is identical to the way a sarangi is played, with the strings being fingered and stopped by the nails or cuticles with the right hand using a bow known as “gaz”. The bow is made of a bent piece of wood strung with horse tail hair. The tone of the instrument is determined by the tautness of these hair-strings in the bow, tighter ones giving a higher pitch with loosely strung ones resulting in a lower pitch. Some folk musicians also tie a string of ghungroo (small bells, like those used on the ankles by dancers) either to their hand or to end of the bow itself. The belly of the saranda has a waist-like shape with the upper half being larger than the lower half and, whereas the upper part is open, the lower half is covered in lamb skin. In this, the saranda shares one important aspect with all other bowed instruments of India: a thin skin stretched over an opening in the resonator upon which a bridge is placed. The instrument can vary in size, from anything between one or two feet long. The number of strings on a saranda can also vary greatly but it is usual to see it with three or four strings which are played with a bow of which one string, referred to as baj tar (playing string) serves as the main string with the others being used to produce a drone. There are often additional sympathetic strings which vibrate to create a fuller sound texture. While the art of playing classical music on the saranda is almost extinct, the instrument is still relatively widespread in the folk music of Northern and Eastern India as well as Nepal and the provinces of Baluchistan and Sindh in what is now Pakistan. In the later part of the 20th Century, the saranda began to attract new forms of patronage, particularly in India’s Punjab region. Various schools sponsored by several spiritual communities of the Sikh religion began adapting the instrument to serve as melodic accompaniment for devotional singing. 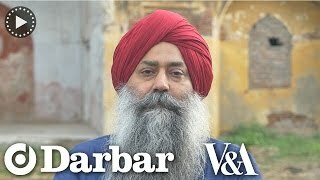 The singing, known as shabad-kirtan, (literally, “singing the word”) is a central part of the worship ritual within the Gurudwara (Sikh Temple) where the saranda is now beginning to reappear. Sikh devotional singers of the Punjab are widely acknowledged for having elevated the saranda from a folk instrument to a classical one, given that shabad-kirtan is always performed in a classical rather than folk style. 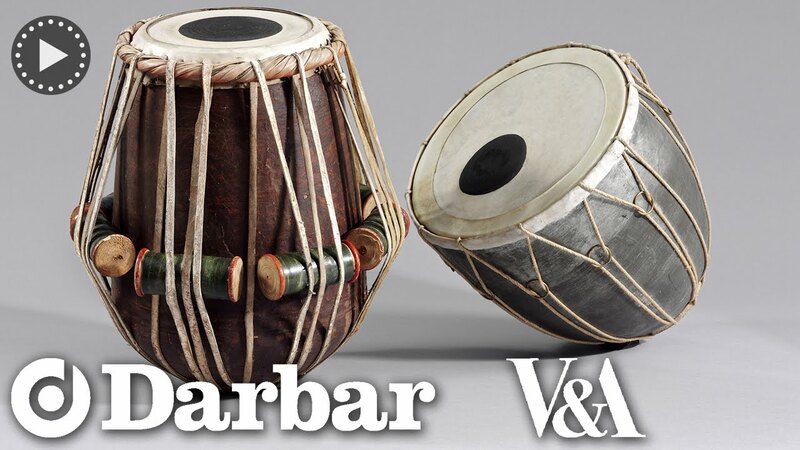 This desire to reintroduce the saranda into Sikh devotional music also adds credence to the theory that the invention and development of this instrument was largely the work of the Sikh gurus. On the whole, where classical music is concerned and at least until quite recently, the saranda appears to have had a higher profile in Pakistan (which shares the pre-partition North Indian classical music tradition) owing to one particularly distinguished musician who had not only chosen this as his instrument but was also able to elevate it to a mainstream classical instrument. Afghan-born Munir Sarhadi, (1922 – 1980), was the son of Pazeer Khan, a maestro of Pashto music and descended from a long line of saranda players. Pazeer Khan was initially against the idea of his son taking up the instrument and, instead, encouraged him to learn classical vocal music. During this time, before the Partition of India, when Pazeer Khan had a job as an instrumentalist for All India Radio in Delhi, it is said that the young Munir, as an act of rebellion, would wait for his father to leave the house so that he could grab the nearest saranda and start playing it. When Pazeer Khan returned unexpectedly early one day and heard his son playing the instrument he decided to start training him immediately, even giving him his own saranda. Munir Sarhadi went on to develop his own unique style on what had previously been a folk instrument, inventing a technique that succeeded in overcoming many of the limitations of the instrument, and proceeded to play a pure classical raag repertoire with all its complex taans (melodic phrases) as well as giving a more classical treatment to some of the Pashto folk music his father had played. According to some sources, he created and played a perfect fusion between classical and folk music which went some way towards popularising the saranda, resulting in Sarhadi’s entry into film music as composer and the creation of many successful songs. As his fame spread in both classical as well as folk and popular film music he was given the “Pride of Performance”, Pakistan’s highest government award for civilians who have made a mark in music or the arts. Even so, along with the gradual decline in traditional and classical music in that country and a lack of state support for musicians, Munir Sarhadi died in poverty and anonymity. His son, Ejaz Sarhadi, (aged 47) would appear to be the last in this long family line of saranda maestros as his children have not taken up the instrument. Although Ejaz Sarhadi has devoted his entire life to raising awareness of the instrument, with no government or private-sector support, he now appears to be struggling to keep the saranda alive as a classical music instrument in Pakistan. The saranda is played with a bow to accompany singing in folk and devotional music. The instrument sits on the seated musician’s left leg while the top of its neck rests on the left shoulder. Unlike similar instruments, the parchment only covers half of the belly. This saranda was probably made for devotees of the Sikh religion in Punjab. The inlaid ivory work is typical of the Hoshiarpur region. Susan Stronge (ed. ), Arts of the Sikh Kingdoms, (London: V&A, 1999) cat. 216, p. 239 and pl. 42. A similar example in the Metropolitan Museum of Art, New York is published in Bor, Joep and Bruguière, Philippe (eds. ), Gloire des princes, louange des dieux : patrimoine musical de l'Hindoustan du XIVe au XXe siècle (Paris : Musée de la musique : Réunion des musées nationaux, 2003), cat. no. 63, p. 121.